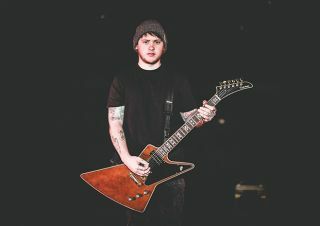 Submit Your Questions for Bring Me the Horizon's Lee Malia! Here's your chance to ask the British metalcore guitarist anything you want! Jona Weinhofen announces his departure from the U.K. metalcore act. Bring Me The Horizon have had a rough tour opening up for Machine Head. Bring Me The Horizon Release New Music Video for "Visions"
U.K.-based metalcore outfit Bring Me The Horizon have just released a new music video for their song "Vision." Scroll down to watch it.